Finally, the leaves have turned; fall’s crisp air lingers in the mornings and evenings. Soon our mountains will be covered in powder (this is a positive-thinking, mantra-type thing, say it with us). We&apos;re on the cusp of Thanksgiving, and Salt Lakers have a lot to be thankful for; from the divine outdoor spaces to hip urban hangs. 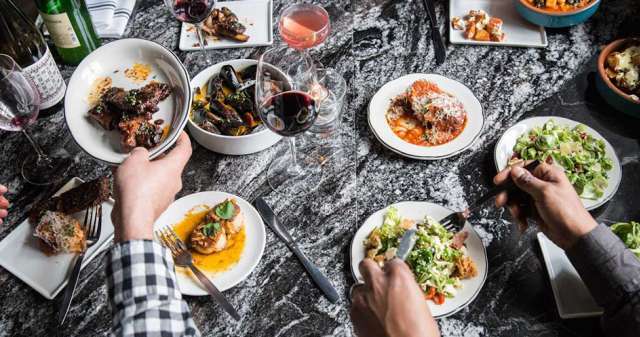 With that in mind, we thought it only fitting to make our Thanksgiving tables a little "saltier," seasoned with recipes from some of Salt Lake’s favorite chefs. Add these to your turkey-day repertoire, and you’ll pass for not just a pilgrim, but a Salt Lake pioneer (The hippest of the settlers, amiright? They were doing suspenders and beards before it was cool.). 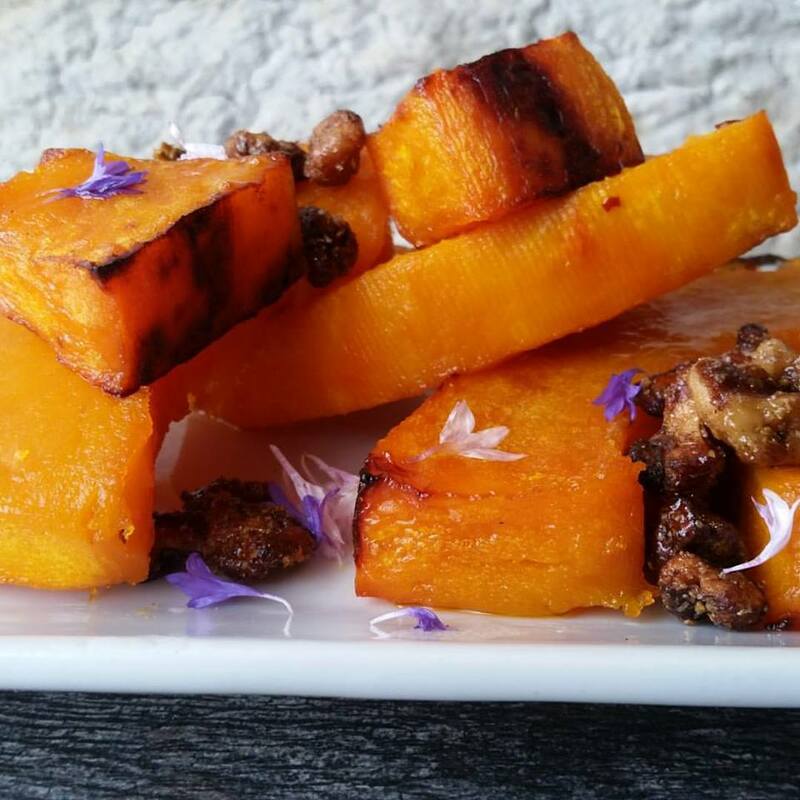 Start off your meal by serving your guests this simple, yet delicious Maple Roasted Pumpkin appetizer from Zest SLC owner Casey Staker. Peel, seed and cut pumpkins into ½-inch chunks, rectangles, half-moons, and wedges. Toss all ingredients together and roast in 425-degree oven until tender, top with fresh rosemary. 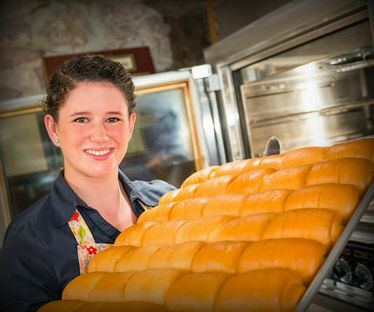 Every Thanksgiving meal needs rolls, and if you’re a true Utahn, you know you really should only serve Lion House rolls or everyone will be judging you behind your back. Sure, you can buy them, but then you’re facing those crazy lines. Be a real hero and make them yourself. 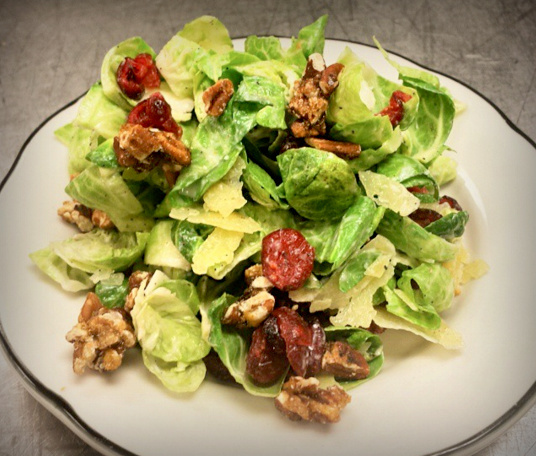 Executive Chef of the Lion House Pantry David Bench was kind enough to share the recipe. In the large bowl of an electric mixer, combine the water and the milk powder and stir so the milk dissolves. Add the yeast to this mixture then the sugar, salt, shortening, egg and 2 cups of the flour. Mix on low speed of mixer until ingredients are wet, then turn to medium speed and mix for 2 minutes. Stop the mixer and add 2 more cups of flour then mix on low speed until the ingredients are wet, then turn mixer on medium speed and mix for 2 minutes. The dough will be getting stiff and you may need to remove the bowl from the mixer and mix in the remaining flour by hand. Add approximately ½ cup of flour and mix again. (This can be done by hand or mixer). The dough should be soft, not overly sticky, and not stiff. (IT&apos;S NOT NECESSARY TO USE THE ENTIRE AMOUNT OF FLOUR). Scrape the dough off the sides of the bowl and pour approximately one tablespoon of vegetable oil all around the sides of the bowl. Turn the dough over in the bowl so it is covered with the oil. (This helps prevent the dough from drying out). Cover with plastic and allow to rise in a warm place until double in size. Sprinkle a cutting board or counter with flour and put the dough on the flour. It is now ready to roll out and cut into desired shape and size of rolls. Place on greased (or parchment lined) baking pans. Let rise in a warm place until the rolls are double in size (approximately 1-1½ hours). Bake in a 375-degree oven for 15-20 minutes or until the rolls are browned to your satisfaction. Brush with melted butter while hot. 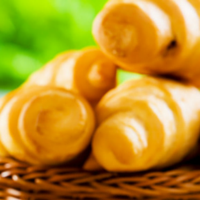 Yields 2 to 2½ dozen rolls. If you’re not already a fan of Finca, this recipe from their Executive Chef will likely make you one. If you make it in advance and decide that you want Finca to fill you to your heart’s content on Thanksgiving, you’re in luck: they&apos;re serving a Thanksgiving buffet for the first time this year. These brussel sprouts are (pun only intended after the fact), the cream of the crop. Saute bacon in olive oil, until fully cooked and reddish brown in color. Remove bacon from pan, but leave ¾ rendered fat in pan. Add quartered Brussels sprouts and sauté in bacon fat, until nicely browned. Add remaining ingredients and reduce heat to medium low. Continue cooking until Brussels are tender, and liquid has been reduced to a nice even glaze. Fold cooked bacon back into sprouts, and season with salt and pepper. While you may be a turkey eater, you might have guests who are not--be the hero of your Thanksgiving by creating vegan side dishes so delicious that fights erupt between the meat-eaters and herbivores going for the last scraps. Chef Ian Brandt from Elevated Cuisine Group (Sage’s Cafe, Vertical Diner, and Cali’s Natural Foods) has provided us with a couple of recipes that will do just that. Boil carrots in 1.5 gallons of water for 2 hours. Strain carrots and save stock for a wide variety of other recipes. 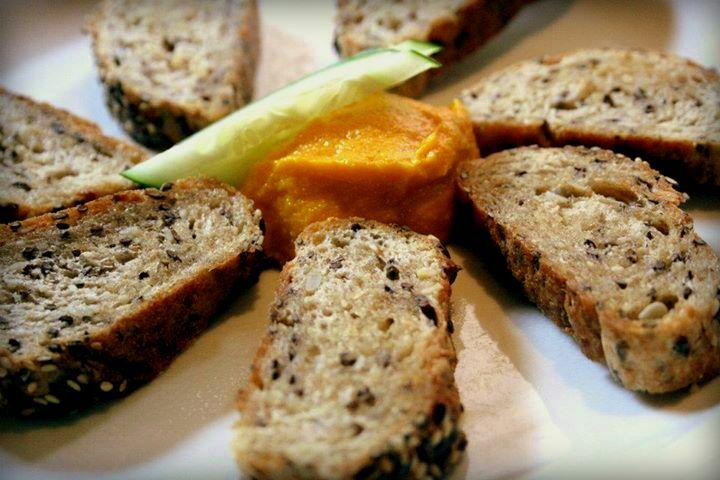 In a blender, blend all carrot butter pate ingredients until smooth. Cube the baguette of bread into ½ inch by ½ inch cubes and then toast on a cookie sheet till light brown. In a medium sauce pan, sauté mushroom, onion, carrot, celery, and garlic with the olive oil and sea salt. Halfway through the sauté, add the walnuts. When these ingredients are cooked thoroughly, and the walnuts are brown, deglaze with white wine. Add dried fruit, fresh sage, water, and fresh ground black pepper. (Green apple and or Anjou pear can be used instead of the dried fruit. If you do use fresh fruit then use 1 to 1½ cups and a ½ cup less water.) When the dried fruit has plumped up, add the toasted bread pieces and stir well. Place the stuffing in a 9 x 13 inch casserole dish and bake at 375 degrees for 15 minutes or until the top is lightly browned and the stuffing is hot all of the way through. To round out your Thanksgiving meal, our friends from La Caille provided a perfectly sweet dessert recipe. With this added to your cookbook, you’ll have a Salt Lake-specific Thanksgiving, and as far as we’re concerned, there’s nothing to be more thankful for than good food from our salty city. In a small bowl, sprinkle the gelatin over the water and let stand for 5 minutes. In a large bowl, whisk the yolks, cornstarch, salt and 1½ cups of the sugar until the sugar is moistened. In a large saucepan, heat the milk just until steaming. Whisk 1 cup of the hot milk into the yolk mixture. Pour the mixture into the milk in the saucepan and cook over moderate heat, whisking constantly, until boiling and thick, about 5 minutes. Whisk in the pumpkin puree and cook, whisking, for 1 minute. Off the heat, whisk in the gelatin, vanilla and cinnamon. Whisk in the mascarpone. In a small microwave-safe bowl, microwave the Calvados with the remaining 1 Tbsp of sugar at high power for 10 seconds, just until the sugar is dissolved. Arrange one-third of the whole gingersnaps in a 9 x 13 x 2½-inch baking dish. Lightly brush the gingersnaps with some of the Calvados and top with one-third of the pumpkin custard. Repeat the layering twice more with the remaining whole gingersnaps, Calvados and custard. Sprinkle half of the crushed gingersnaps on top and press a sheet of plastic wrap directly on the surface of the tiramisù. Freeze overnight. Let the tiramisù stand at room temperature for 4 hours, or until thawed. Sprinkle with the remaining gingersnaps. Serve. Tip: MAKE AHEAD. 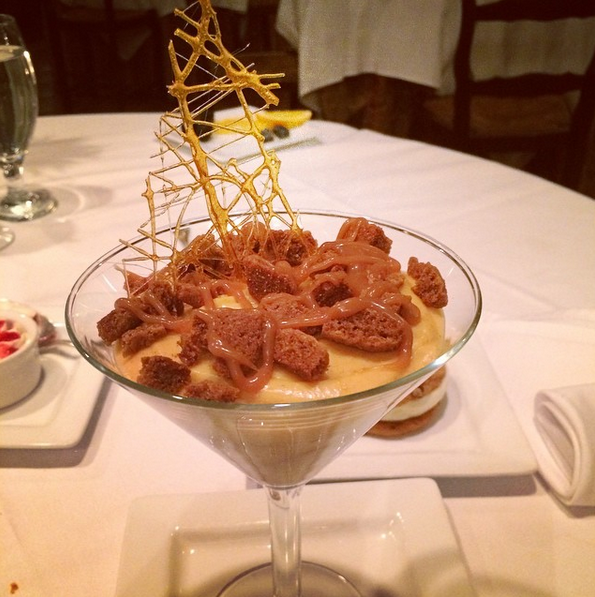 The pumpkin tiramisù can be frozen for up to 1 week. Thaw at room temperature for 4 to 6 hours or overnight in the refrigerator.